Closest walk from home is a quick trip round Bernal Hill for views of downtown San Francisco and three bridges. 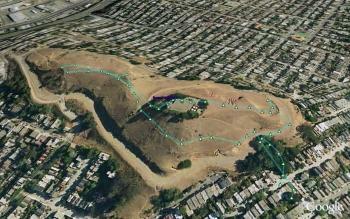 Hike starts at: 37.74355, -122.417583. Not really the closest walk from home any more but still a good one!